As national politicians and policymakers devote the lion’s share of their attention and resources to Brexit, it is left to Britain’s city leaders to address many of the economic and social challenges that people in their cities face. Only two years on from the election of the first metro mayors they are making substantial policy changes in the city-regions on issues ranging from transport to environment to housing. This has long-term consequences for governance in Britain. For instance, earlier this month Steve Rotheram launched a UCAS-style apprenticeships portal for the Liverpool City Region named Be More. Creating a single place to find training opportunities within a local labour market is a good idea and will make it much easier for both workers and employers interested in training to find each other. This is particularly important in Liverpool, which has the fourth highest share of workers with no qualifications of any city in the UK. The leadership, funding, and electoral mandate of the Liverpool Metro Mayor have given the city some power to tackle its policy priorities. Liverpool City Region no longer has to patiently wait for Whitehall and Westminster to catch a breather from Brexit to spare a bit of time and money for the Mersey. The metro mayor is in charge of improving the local economy and is accountable to local voters on that basis. This is a much more substantial shift in British politics than most commentators in London appear to realise. 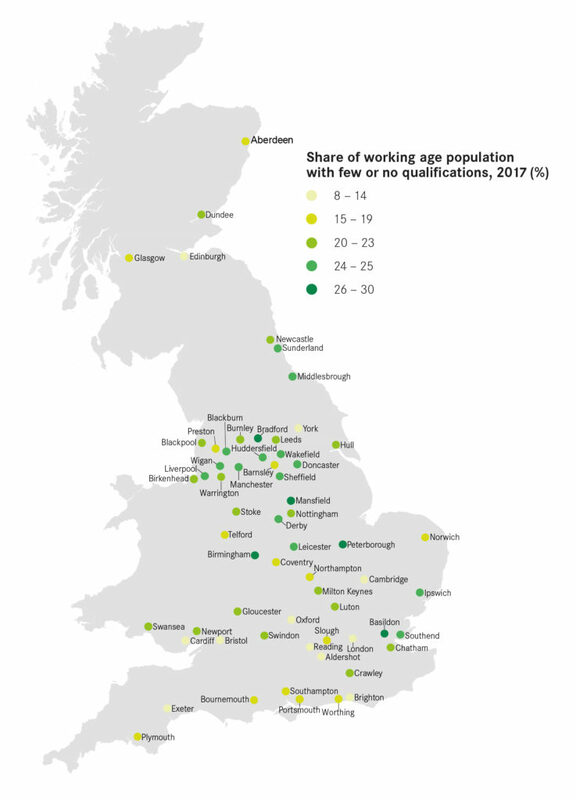 As the Mayor of London has changed electoral politics and policy in both Greater London and the wider UK, the metro mayors are now changing how power works in England. Whether it’s leading on skills policy in Liverpool City Region, or green belt reform in Greater Manchester, or the municipalisation of Durham Tees Valley Airport, metro mayors are setting the policy agenda in their city-regions. The process of devolution is still not complete. The Adult Education budget will in September be devolved to the metro mayors elected in 2017 and the Mayor of London, and is a chance to show how the mayors understand their areas’ local priorities and are ready to take on hard problems. If they can pass this test, it will only bolster their arguments for more autonomy. The metro mayors have already banded together to call for more powers over taxation. They will need to show they’re prepared for them, but it’s only right that politicians with such large elected mandates should have more control over and freedom to use local revenues. The constitutional implications of this are exactly what devolution to cities was designed to achieve. Power in England no longer just flows out from London but is met and contested by competing elected mandates in our cities. How these new metro mayors get new problem-solving powers from national government and convince their voters they are solving those local problems will be the key topics of the metro mayor elections next year – and will continue to be for all their elections after that.